After completing your training, CDA Technical Institute (CDA), formerly Commercial Diving Academy, stands ready to assist you in becoming a professional underwater welder. The demand for qualified commercial divers and underwater welding specialists, especially in the Gulf of Mexico, is significant. According to an article in a recent issue of Underwater Magazine, the deepwater sector of the Gulf has become the industry’s most active area. The reservoir discoveries there have led to potentially dramatic growth in the U.S. crude oil reserves, which, in turn, could raise the nation’s production numbers as a whole. As a result, major oil companies have made a long-term commitment to exploration and development in the Gulf’s deep water. In other words, Gulf oil output is swelling to it highest levels in history, and this surge of activity requires the knowledge and skills of commercial divers and underwater welders like our graduates. 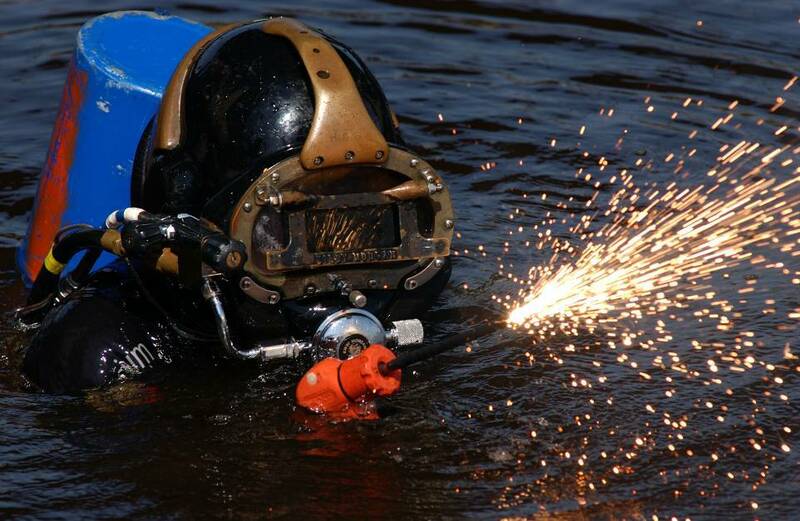 Underwater welding and non-destructive testing opportunities for qualified divers in the inland diving industry are numerous as well. Consider all the bridges and dams that were built 20, 30, 40, even 100 years ago. These structures are in constant need of survey, inspection, and repair. Municipalities across the country are passing bonds to fund the work required on these aging structures at an unprecedented rate. If commercial diving offshore in the Gulf or internationally in such places as the North Sea or off the coasts of South Africa, South America, Bahrain, China, and the United Kingdom sounds exciting, our instructors can describe to you their personal experiences working in those regions. They have made substantial livings while fulfilling their own goals and dreams, and look forward to sharing their knowledge and expertise with you. If, on the other hand, working inland in the many rivers, lakes, and harbors that cover approximately 40 percent of our magnificent planet sounds more appealing, our instructors have held these positions, too. Whatever your commercial diving career goal might be, CDA Techinical Institute can help you and offer valuable insight. In fact, due to their extensive experience in the industry before joining our staff, they are often called out on assignments at various times throughout the year. CDA Technical Institute has been providing training and expertise for students interested in underwater welding and exciting commercial diving careers since 1995. It’s a thrilling and challenging field; we’ve seen the good times and the bad. But what we have noticed the most is the consistent demand for qualified personnel with underwater welding skills. Recognizing this as a tremendous, unending need, we've built CDA as a model training site for people like you to be prepared for those opportunities. Additionally, we are in a prime location for open water diving in the warm waters of the Atlantic Ocean and the St. Johns River. And of course, we take great pride in offering you the most up-to-date diving instruction in a safe environment. We have it all! Expertise, location, and the commitment to assist you in becoming the most skilled, professional, sought after commercial diver in the industry. Welcome to the fascinating world of commercial diving. 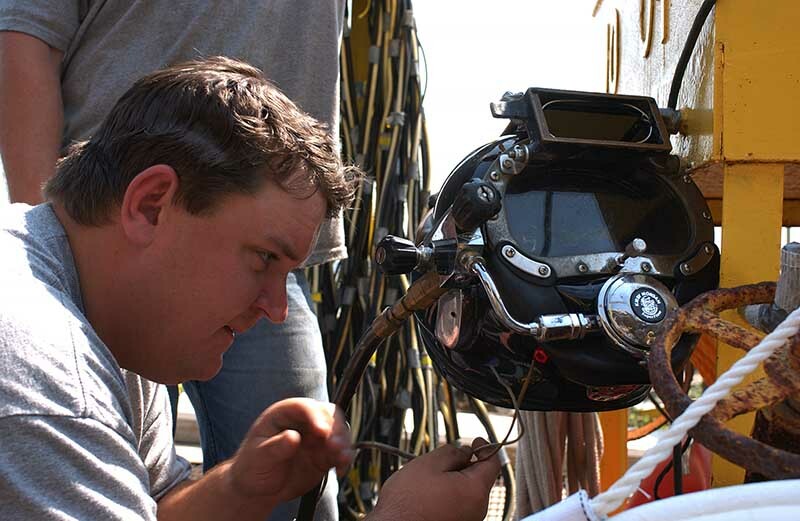 Though in all professions work availability is always subject to supply vs. demand, the economics of a given industry, your availability to relocate outside your place of residence (including overseas), and other related skills you have, there are a number of career opportunities for experienced underwater welder-divers. For example, recently devastating weather such as hurricanes has created employment opportunities for those trained as underwater welding specialists. 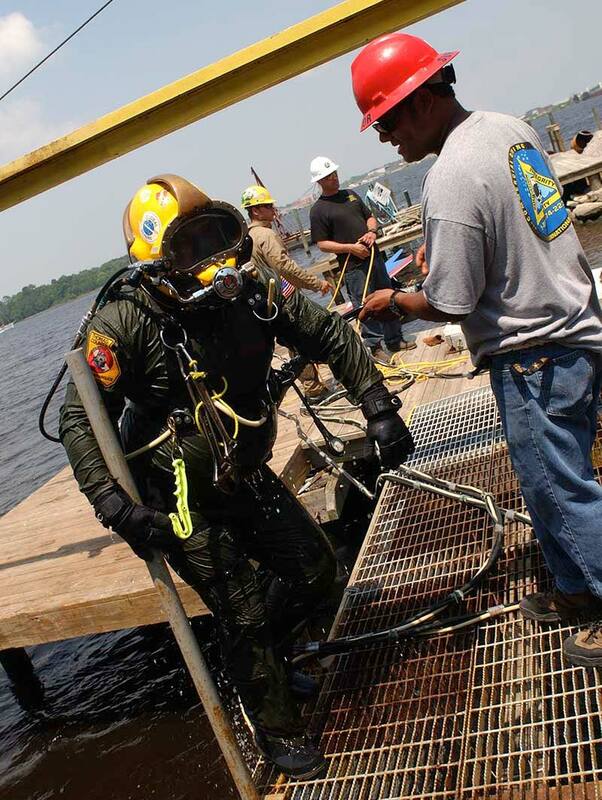 Many underwater welders go on to become engineers, instructors, and diving operations supervisors, qualify as AWS Certified Welding Inspectors (CWI), and serve as consultants for underwater welding operations and other related fields. For those who choose the profession, a career as an underwater welder can serve as a stepping stone to many jobs, adventures, and opportunities. CDA Technical Institute (CDA), formerly Commercial Diving Academy, is the only accredited commercial diving school in the Southeast. Get started today with your future in commercial diving.